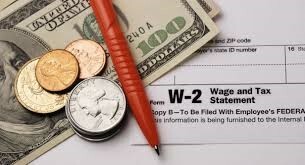 Paper W-2’s were mailed out on Wednesday, January 27, 2016 to those who did not opt-in for the electronic version of the W-2 or who are no longer active employees. Please allow 1-2 weeks for delivery via the USPS. We will not be processing any W-2 reprints until February 15, 2016. If you do not receive your W-2 by February 15th, you may fill out, sign, and email back a completed W-2 request form available here: http://www.luc.edu/media/lucedu/finance/pdfs/W-2_request_form.pdf. Once we have the form, we will work on processing a W-2 reprint within 5-7 business days. Opting in will give you access to your 2015 W-2 immediately, as well as recent year W-2’s. Additional information regarding electronic W-2’s may be found here: http://www.luc.edu/finance/w-2consent/#d.en.296649. If you opted in to have your W-2 submitted electronically to Turbo Tax, your W-2 was sent to Turbo Tax on Thursday, January 28th.